The rational mind is a great thing. It helps us to analyze, to dissect, which helps to clear up the road ahead, or piece out a problem in order to deal with it. In other words, to show us how to take action. It’s the “doing” part of the mind. The male side in Jungian psychology, if you will. The yang of the circle going ‘round in the brain of the Taoist. Especially in our modern world, that’s been the focus of study and thought and from where we “should” deal with life. Rational thought; the god of science. And while that part of the brain is vital to existence and wellbeing, necessary for us to live as humans doing whatever project it is we’re doing, it’s only slice of the equation’s pie. And not the function that is best to run the show. I was raised in a home that revered science and the rational, my father a Freudian psychiatrist. And while learning was King, the focus on analyzing day-to-day events, schooling paramount—all of which aids in our understanding—we rarely considered the soft voice from the yin side of the circle. I respect the rational side enormously. But using only rational thought as your guide is like navigating with a one-sided map. The other part—the intuitive mind, the gut instinct, the gift from the gods, the whatever you choose to call it—brings a trove of riches where the true gems lie. Through it comes knowing. Comes Truth with a capital T.
Leaving that untouched flattens life out like an unleavened piece of fry bread. My own mother’s intuition was strong and pure and true. And quashed in a time and culture where male rational thought ruled. Pity. But from her my own knowing was birthed to live dormant, waiting for the right spark to kindle the flame. One of my favorite myths in the world is that of Vasilisa. Known variously as Vasalisa the Beautiful, Vasalisa the Wise, or as Clarissa Pinkola Estes terms it, The Doll in Her Pocket, the story spoke to my heart the first time I read it. And never let me go. 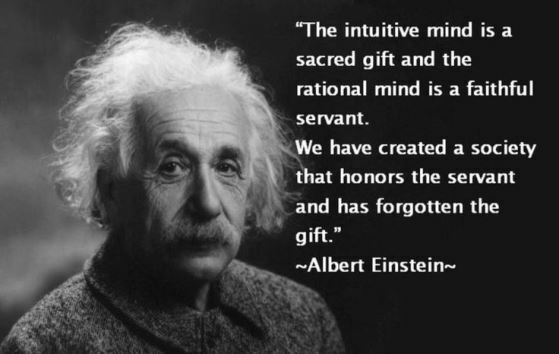 The intuitive force within you is like that. Always there, always waiting for some spark to alight its fire. Vasilisa is sent on a quest to bring fire back to the hearth, having only the one precious thing her dying mother had given her—a doll to keep in her pocket to show her the way. Her mother said all she need do is listen to its guidance. This myth weaves through I Just Came Here to Dance, as another young woman comes alive when her intuition, successfully muzzled by a dominant culture, springs out as from that box of Pandora’s sprung open. Often what then occurs is not pretty. At least at first. Those gifts kept hidden in the dark tend to dance like dervishes when first released into the light of day. But oh, the energy! It propels one to deal with what’s been denied for so long, and find unknown strength and Truth along the way. It opens one’s world in the most literal of senses. Albert Einstein relied heavily on his own intuition. We all know the story of how when struggling with the Theory of Relativity, he dreamed the final piece. Hard to argue that a dream came from the rational side of the brain! He respected his intuition as the genius it was. And followed it. Then used that rational side in service to that gift. It can be difficult to hear when stuffed for a long time (perhaps a lifetime). It took me a while to not only listen, but also to discount the naysaying tapes in my own head. Takes practice. But infinitely doable. And once I began to rely on that as guidance from the gods, my life took a logarithmically positive turn. Although hearing the whispers does take attention and practice, one need merely get quiet and listen. The ego’s voice is always the loudest, the first one you hear. Wait. Go deeper still. That intuitive guidance is always whispering, that doll jumping up and down in one’s pocket saying, take that road, not this one. Turn left, not right. Yes he’s handsome, but his beard is really that blue . . .
And then honor the wise counsel by following it. There’s where the rational brain comes in handy—by carrying out the guidance given. And the more you act on your inner wisdom, the clearer it becomes. Before you know it, rather than whirling in chaos, you’re waltzing to the rhythms of life. How do you follow your heart’s song?